Knowle is a suburb of Bristol, a medium-sized city and the capital of the West Country (that’s the South West of the UK). It’s famous for its port and historical role in the slave trade (and its abolition), Isambard Kingdom Brunel who designed the city’s most famous landmarks (Clifton Suspension Bridge, SS Great Britain, Temple Meads Railway Station), hot air balloons, world famous street artist Banksy and of course the lovely Wallace and Grommit. Bristol has also been named most entrepreneurial city the UK and has the lowest unemployment rate. There are strong electronics and creative industries in the city. 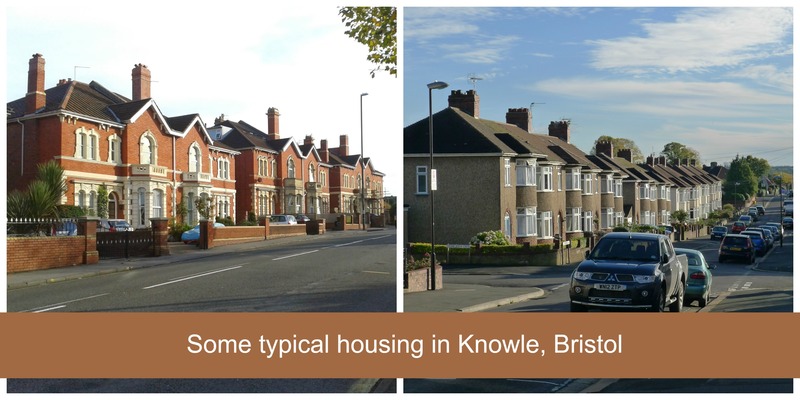 Knowle, is about 30 minutes walk to the south of Bristol city centre. The housing ranges from some quite large and pricey Victorian houses along the Wells Rd to 1930s terraces and 1960s council houses. It is a pretty stable neighbourhood, although new young families are starting to move here, many of the residents have lived here for most their lives. Most residents are white British. When we moved in we definitely lowered the age profile and increased the diversity of our street! In the photo below you can see typical houses and a street nearby. 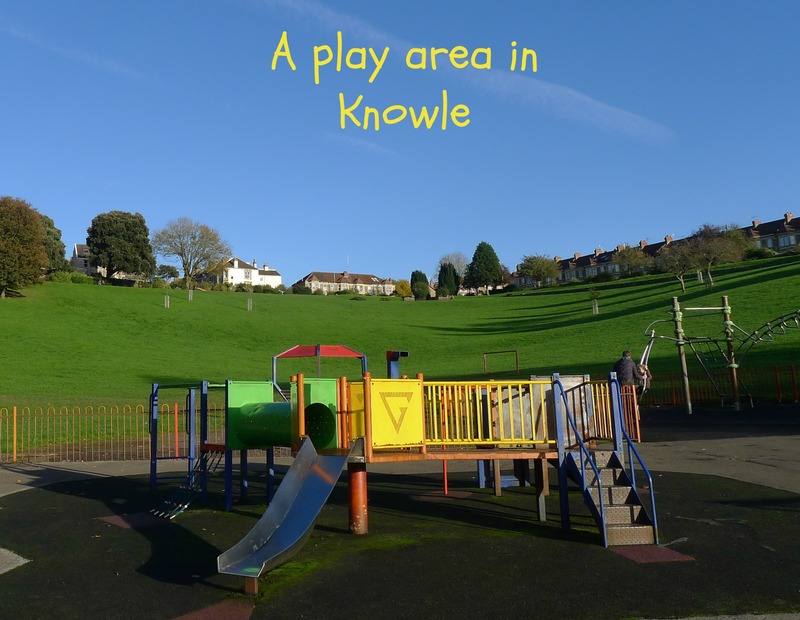 Knowle has lots of parks… we have three in walking distance from our house and also a lovely overgrown cemetery to explore called Arnos Vale. Knowle is on top of a big hill, hard work on a bike, but we do get lovely views across the city. The area has good facilities for families including play areas, baby and toy shops and toddler groups and activities. 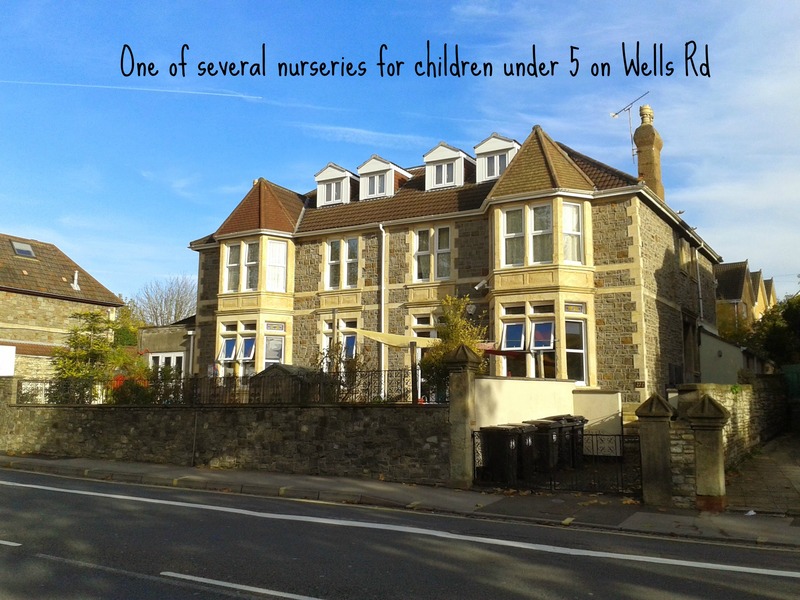 There are several nurseries offering pre-school childcare along the main road into the centre (Wells Rd), although the waiting lists are long and demand is high! There are also several primary schools. 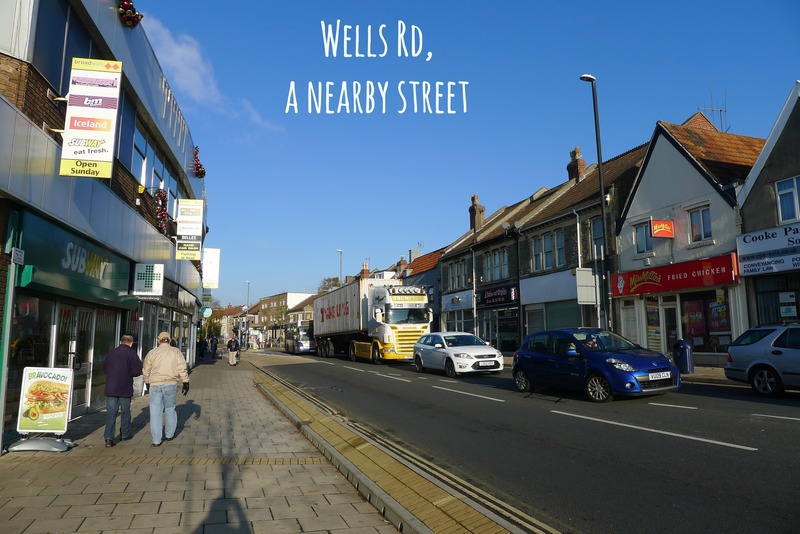 Local shops include the Broadwalk Shopping Centre (functional but not highly inspiring) and some other local shops and restaurants on the Wells Rd, including the lovely Jack and Jill Toyshop. There are several traditional pubs in walking distance (although not technically in Knowle). 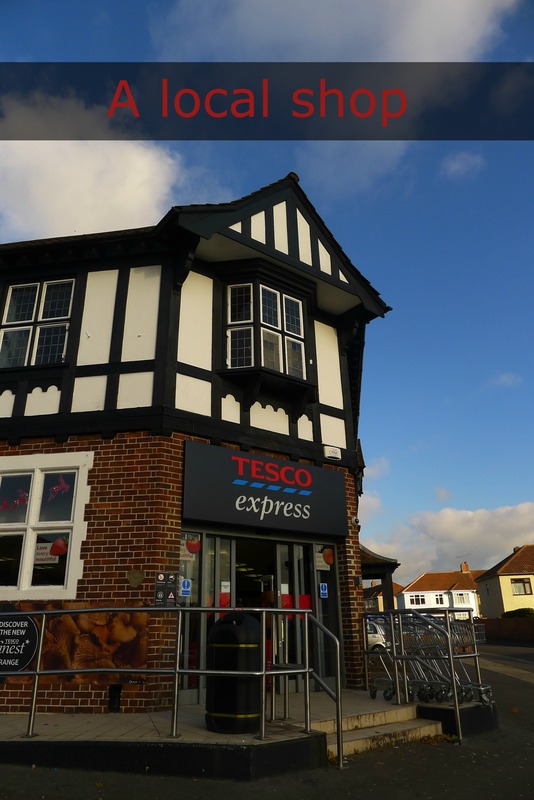 The photo I am including is of our nearest shop – a small supermarket in an old pub. Bristol apparently has the worst traffic in the UK! I didn’t think you would like to see photos of traffic though so here’s a double decker bus – I know these are popular overseas! 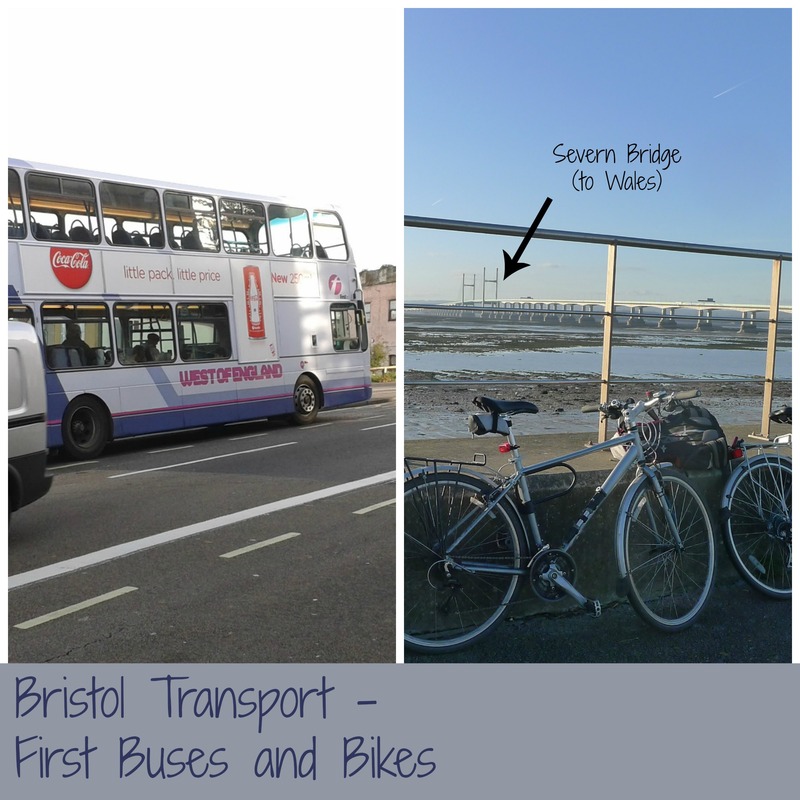 Bristol has been named UK Cycling Capital and has had lots of investment in cycling, so I thought I’d show you some photos of bikes. I hope you have enjoyed looking around our corner of the world! Fun! I love this series, and thanks for sharing your neighborhood! Aww, so very British – love it! ah memories… reminds me of when I was living in the UK, albeit a different part of it. Thanks for taking part in the series. Very nice! I love this series 🙂 I technically studied in Bristol… but remotely so I’ve never been! It was nice to see something of what it looks like. 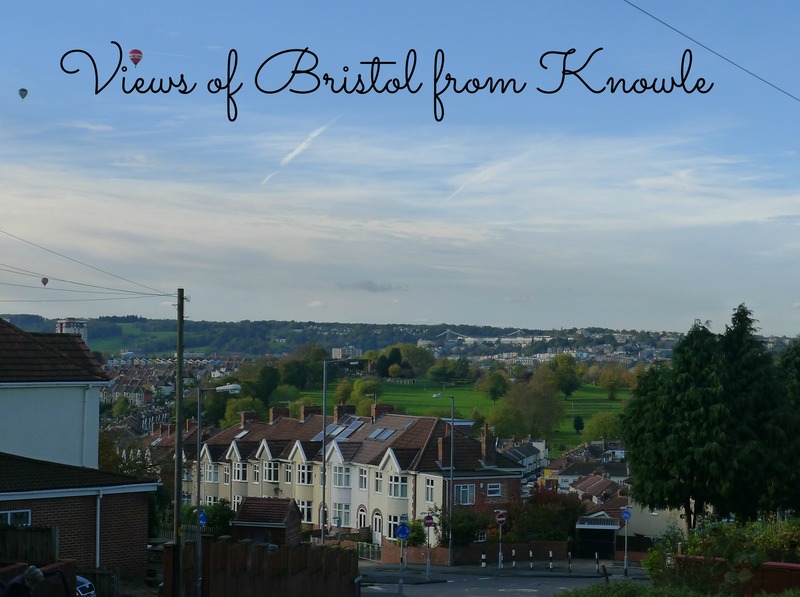 Glad I got to introduce you to a slice of Bristol life! Hope you enjoyed your course at the university. So lovely to see Bristol – I’ve never been there and it’s been ages since I’ve been in the UK. Thank you for sharing this – I’m now in the mood for a pub lunch!